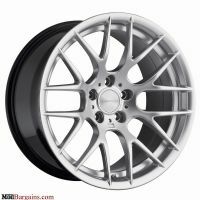 Looking for E60 wheels? Look no further because here we feature our E60 wheels. Each of these E60 wheels are specifically designed to fit your BMW. E60 wheels that fit right will ride better. Along with riding more smooth, your E60 wheels will look good. E60 wheels are special. The first thing people notice are E60 wheels so don't give off the wrong impression with stock E60 wheels - Get new stylish E60 wheels. E60 wheels will make you look competitive. E60 wheels will take your BMW appearance to a new level. These E60 wheels are also designed to help your weight. If your old E60 wheels where heavy these new ones will feel more aggressive. The spectators will love your new E60 wheels. E60 wheels will shine. Stay fresh with new E60 wheels.